US Embassy in Bangkok sidesteps evidence and calls claims that America supports terrorism and regime change "ridiculous and reckless" even as it supports terrorism and regime change worldwide. On August 19, 2016, The Nation published an editorial titled, "Is regime change a motive behind the recent bombings?" 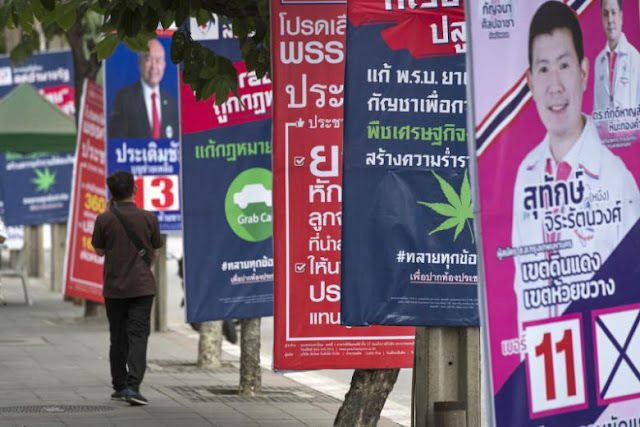 The editorial reflects growing distrust between Thais and the United States, who has for years now openly undermined political stability and the revered institutions of Thailand through its overt support for the deposed former prime minister Thaksin Shinawatra and his political supporters as well as throngs of foreign-funded organisations masquerading as "nongovernmental organisations" (NGOs). that the United States has been involved in regime changes around the world more times and in more ways than anybody can count. The veracity of the 2009 cable released by Wikileaks mentioned in the editorial has never been challenged by the US State Department. The fact that Bradley Manning, who allegedly leaked the US diplomatic cables in the first place, is in prison for violating the US Espionage Act, not for fraud, indicates that indeed the contents of the cables are accurate. The US and the foreign media who represent both it and its transatlantic partners in Europe have clearly attempted to look past many and egregious transgressions committed by Thaksin Shinawatra and his political supporters, including violence they have carried out in 2009, 2010 and again between 2013-2014. Often the US Embassy, who regularly and very specifically condemns any and all attacks on opposition figures they are supporting, will make no comment at all about opposition violence, or will word condemnations in such a way as to not identify those who are behind the violence. The US has openly aided and abetted both Thaksin Shinawatra's "red shirts" (officially: United Front for Democracy Against Dictatorship (UDD)), with US Embassy staff visiting them in very public displays of support, as well as through large sums of annual funding going to various pro-opposition organisations including Prachatai, the Cross Cultural Foundation, Thai Netizen Network, Thai Lawyers for Human Rights, Cafe Democracy and ENLAWTHAI Foundation just to name a few. Jessica Smith, currently attached to the US Embassy to Bangkok, traveled to the upper- northeastern province and were warmly welcomed by dozens of Red Shirt villagers in a suburban area. Inside the village is a poster with a picture of former premier Thaksin Shinawatra, viewed as spiritual leader of Red Shirt activists, and English phrases saying: Long Live the Thai and American Peoples. Long Live the Democracy. Smith, a former education program specialist at the US Department of Education, met with Kwanchai Praipana, leader of a noted Club of People Who Love Udorn, the official name of the province's Red Shirt movement, and former foreign minister Prajuab Chaiyasan. 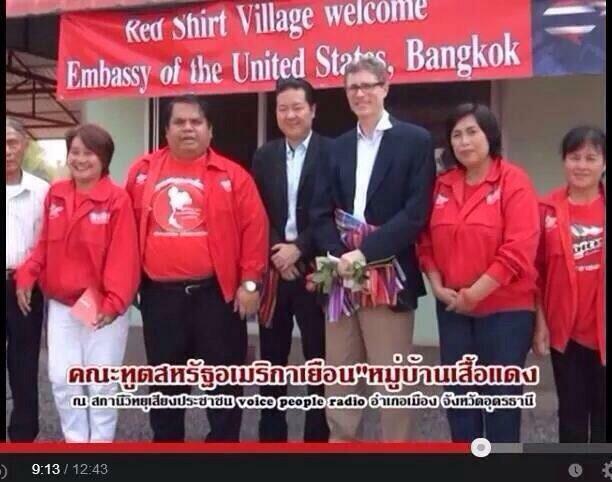 Smith and other US embassy officials planned to visit the Red-Shirt Village elsewhere in other provinces to gather more information about the grassroot people's political attitudes and activities. And finally, the US currently is openly pursuing regime change in Syria, with US policymakers and US State Department, openly declaring US intentions to overthrow the government of Syria to replace it with one more to their liking. This is a repeat of what the US has openly done in both Iraq and Libya. The many other examples cited in The Nation's editorial (Mexico in 1846, then post-World War II intervention in Iran (1953), Guatemala (1954), Congo (1960), Dominican Republic (1961), South Vietnam (1963), Brazil (1964), Chile (1973), Panama (1989), Kuwait, Iraq (2003), Honduras (2009), Syria (2012) and Ukraine (2014)) are also up for little debate. 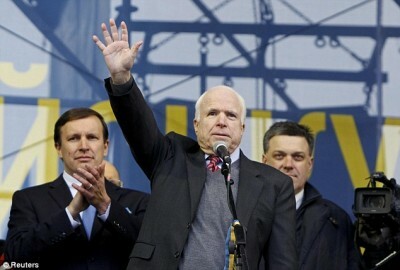 The last nation listed, Ukraine (2014), even featured US politicians quite literally taking to the stage during the violent protests that eventually overthrew the elected government of Ukraine and plunged the nation into dysfunction and civil war ever since. With all of this in mind, and with the US Embassy's vitriolic response sidestepping all of these facts, what should Thai people believe? 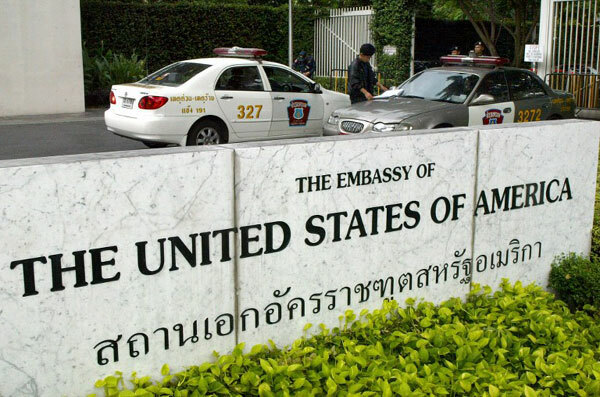 One would expect the US Embassy, staffed by experienced and professional diplomats, to take the waning trust between the US and Thailand and address it seriously. Instead, they dismiss the legitimate concerns and facts mentioned in the editorial as "ridiculous" and "reckless." ...we were surprised to see a conspiracy theory dragged from the fringes of the Internet to The Nation's op-ed pages. Any suggestion that the US in any way supported these cowardly acts of violence is both ridiculous and reckless. 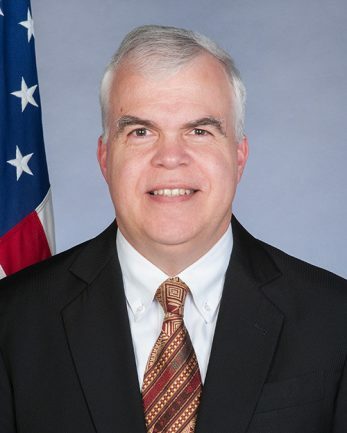 The US Embassy's response, penned by Peter M Haymond, not only is a personal attack on the author, Pornpimol Kanchanalak, but an attack on millions of Thais who are developing increasing suspicion regarding their American "allies." The US Embassy's response fails categorically to address the US Embassy cables that admit to knowledge of Thaksin Shinawatra's supporters operating in the deep south and the possibility that violence unfolding there may be connected to Shinawatra's bid to return to power, rather than to insurgents. The US Embassy's response fails to answer for decades of "regime change" and wars worldwide that it has openly led and the destruction of millions of lives that have resulted from it. It has also failed to explain why, when it has committed such widespread criminality against all other nations, it would for some reason "spare" Thailand. "Pornpimol Kanchanalak is not a lone voice raising these concerns. She represents millions of Thais who can hear the US Embassy's statements, compare them with the US Embassy's actions and see the immense disparity between the two." The US Embassy's response never explains to Thais why it is funding organisations disingenuously posing as NGOs, or why these organisations unanimously support Thailand's opposition led by Thaksin Shinawatra. Their response also fails to explain why US Embassy personnel regularly and publicly meet with supporters of an ousted prime minster who is a convicted criminal and fugitive and why Thais should not see this as anything but aiding and abetting an enemy of the Kingdom. Pornpimol Kanchanalak is not a lone voice raising these concerns. She represents millions of Thais who can hear the US Embassy's statements, compare them with the US Embassy's actions and see the immense disparity between the two. When the US Embassy fails to address these concerns and dismisses them as "ridiculous" and "reckless," they are dismissing the legitimate concerns of millions of Thai people. But as the US has done in Iraq, Syria, Afghanistan, Libya and Ukraine, disenfranchising the majority while cultivating a dangerous and violent minority appears to be the "American way." The US is a guest in Thailand. A guest who dismisses the concerns of a host regarding their actions is a poor guest indeed. It is a guest who doesn't deserve the hospitality of a gracious host. And while the US is a powerful, aggressive and dangerous world power making the prospects of removing this unwelcome guest unrealistic, the US Embassy through its own disregard of the anger and resentment it itself has created in Thailand, justifiably is leading to the US being seen as not a guest at all, but an invader, a meddler and a disruptive and dangerous influence both within Thailand and throughout greater Asia. The United States, who wilfully lied to the world regarding alleged "weapons of mass destruction" in Iraq ahead of a highly destructive invasion followed by an equally destructive decade of occupation, has likewise been accused of wielding terrorism in the divided and destroyed nation as a means of weakening Iraqi resolve and keeping Iraq subservient to US regional ambitions for years to come. The figures come from State Department polling cited in a State Inspector General report that was published online last week. ABC News would attempt to cite the US "spending billions of dollars and spilling American blood in the fight against ISIS," as a means of framing the suspicions of Iraqis as likewise "ridiculous and reckless," despite the fact that the Islamic State specifically arose in the chaos created by US lies and the subsequent invasion and occupation that followed. And as documents leaked from within the US government itself reveal, the US not only isn't truly fighting terrorism in Iraq (or anywhere else for that matter), they played an intentional, premeditated role in the Islamic State's rise in the Middle East and North Africa. The US is currently engaged directly or indirectly in hostilities in at least the following countries: Syria, Yemen, Iraq, Afghanistan, Pakistan, Libya, Somalia, Djibouti, Ethiopia, Uganda, Mali and Ukraine. 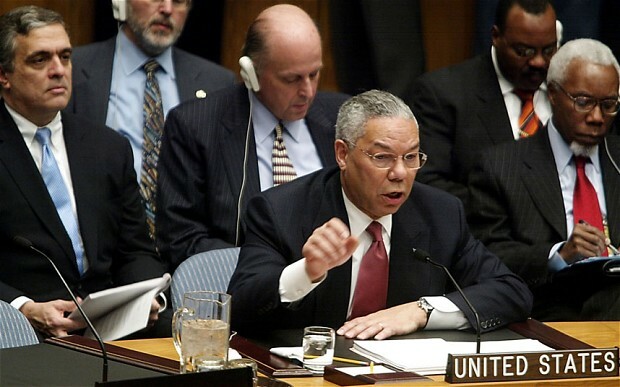 Of these conflicts, Iraq, Syria, Libya, Yemen and Ukraine are direct results of US-backed "regime change." Many of the proxies the US is using, particularly in Syria, are quite literally listed terrorist groups designated as such by the US State Department itself. 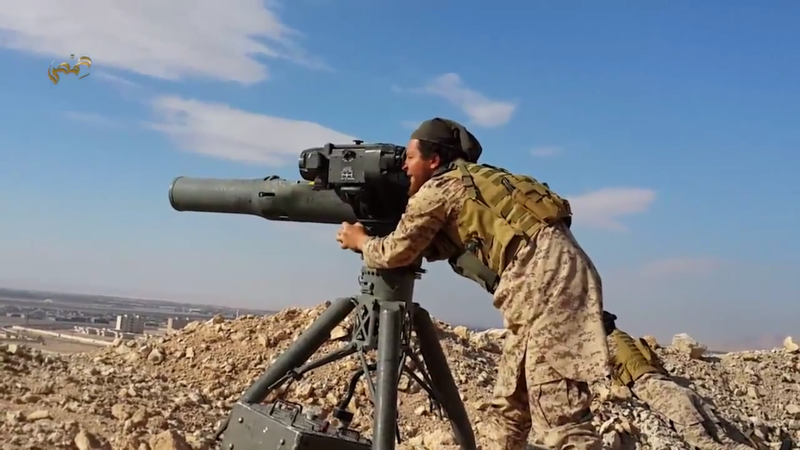 When earlier this month many of the militant groups funded, armed and trained by the United States fell under the umbrellas of the newly re-branded US State Department designated foreign terrorist organisation Jubhat Al Nusra, the US suddenly found itself openly backing what is quite literally Al Qaeda in Syria. Considering this, is it really "ridiculous and reckless" to suspect the US may be supporting terrorism elsewhere around the world, particularly in regards to pursuing "regime change?" One must also consider the fact that one of the largest state sponsors of terrorism on the planet, Saudi Arabia, counts the US as its oldest and closest ally. Saudi Arabia is quite literally the prototype upon which the Islamic State was based, and a creation of Saudi and US geopolitical ambitions according to the US' own Defense Intelligence Agency (DIA). 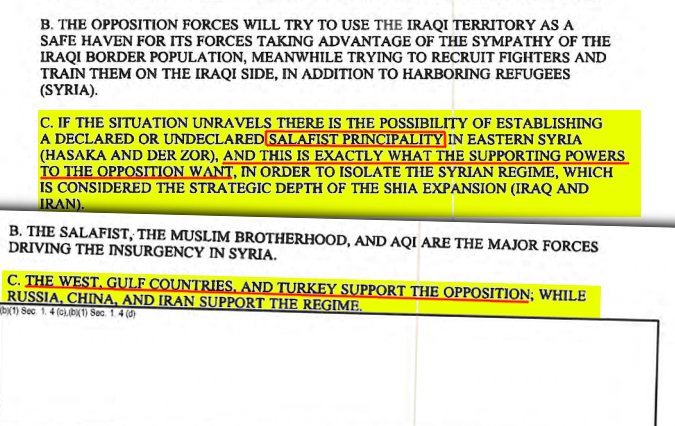 Not only is the US openly pursuing regime change around the world including in Syria, it has admitted itself to seeking the creation of a "Salafist [Islamic] principality [State]" in eastern Syria, precisely where the Islamic State now resides. Readers should note that the Islamic State itself is but an offshoot of Al Qaeda, whose inception was likewise owed to joint US-Saudi geopolitical ambitions in the 1980s versus the Soviet Union in Afghanistan. The real question isn't whether or not a destabilised Thailand suits the United States, since destabilisation and war seems to suit it everywhere else. The real question that should be asked of Thais themselves is whether it is worth the risk to believe verified, serial liars and warmongers regarding their assurances that for some unexplained reason, Thailand is the only nation they do not seek to divide and destroy. Thais should carefully think about the answer, particularly considering the consequences of US-led tragedies unfolding right now in Libya, Syria, Iraq, Afghanistan, Yemen and Ukraine. Is it worth the risk to take the US at its word even if the evidence wasn't already so overwhelming? For the Thai government, they have attempted to play down the threat the US poses to Thailand and its future, realistically understanding the disparity between US power and Thailand's ability to defend itself against such power. It will be up to Thais themselves to expose the US' role in Thailand's ongoing political conflict so that each and every time a bomb goes off somewhere in the nation, the US is immediately the first suspect to come to mind, thus disarming their attempts to divide Thailand along politics, religion and class as they have so many other nations throughout the world and throughout history. It is not that the US at one time in the distant past lit entire nations on fire with its extraterritorial geopolitical meddling, it is that nations right now are burning to the ground because of America's extraterritorial meddling. Thais are not "ridiculous and reckless" to assume they are simply next in line.